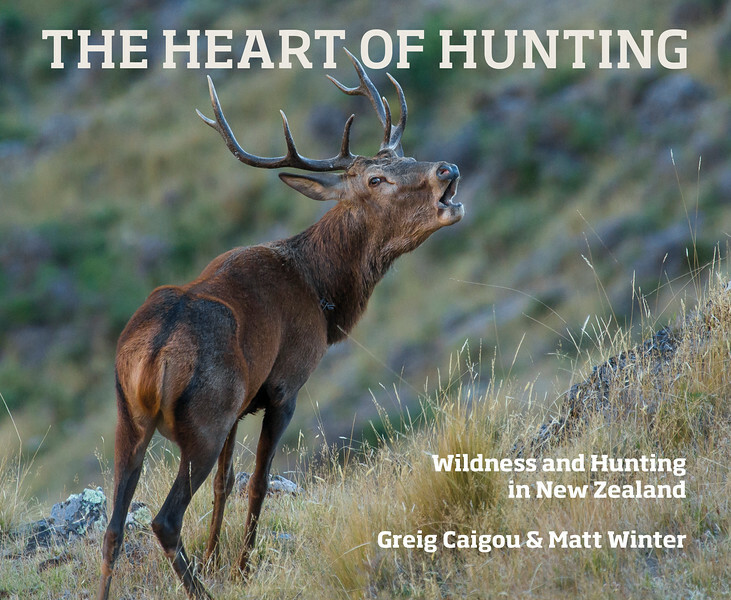 The 'Heart of Hunting' sets out to capture the essence of the hunting experience in New Zealand, by reflecting not only on hunting itself, but on the experience of wilderness that is so key to this cherished activity. Hunter philosophy, storytelling and wilderness musings are combined with 137 of my full colour wildlife, bird and natural landscape images to produce a thought provoking yet easy and enjoyable read. Co-author Greig Caigou and I wanted to add to the body of quality hunting books in New Zealand while attempting to portray the very real and raw experience of the final act of hunting, as well as the other elements that get us out into the hills – wilderness values, free living within the rhythm of nature, seeing and appreciating animals, comradeship, shared adventure and individual hardiness. The motivation for my images is always to celebrate wild animals in their natural environments .... I especially enjoy watching birds and animals at close quarters (inside their senses) as they go about their daily lives in a relaxed manner while unaware of my presence. I wanted to present this wildlife through high quality photographs, by capturing the dynamics of animals in their natural habitats. Greig's meditations on many aspects of hunting, are based on the premise that wildlife is truly understood, and often deeply appreciated, through the eye of a hunter. This publication is a 230mm x 280mm hard cover book with dust jacket containing 172 pages.